It’s hard to believe, but at the SEMA Show in Las Vegas this year, almost everything at “Cars made in Germany” was about old Porsche 911. Against the alleged mainstream around Porsche and Co., the rim manufacturer BBS set a strong sign together with the US tuner IND Distribution. 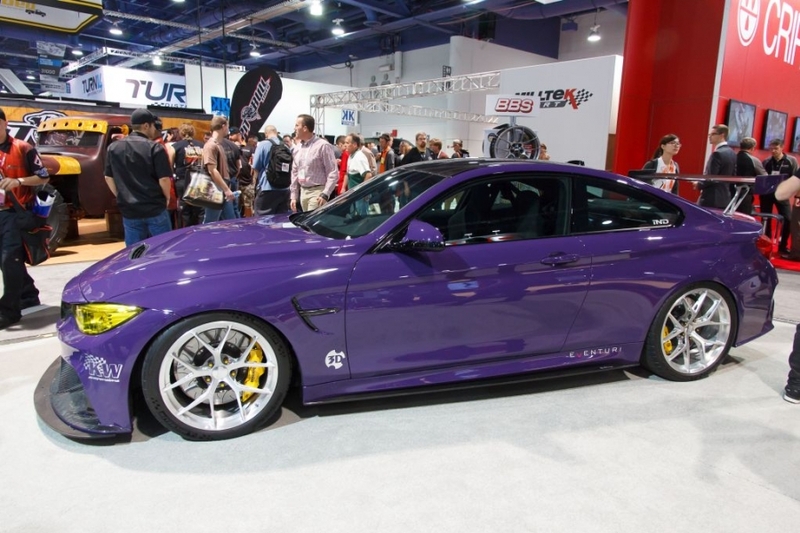 A BMW M4, wrapped in a fancy ultraviolet of the current Porsche 911 GT3 RS, was the means for the purpose. The completely rebuilt sports car is currently one of the best M4 conversions in the scene and does not need to hide even from the limited BMW M4 GTS special model. While many refiners, tuners and tuning fans are always putting their carbon fiber parts into the limelight, IND Distribution is going a completely different way. Ilia Smolov of IND Distribution had painted the side skirts, trunk spoilers and even the modified front and rear apron made of genuine carbon. 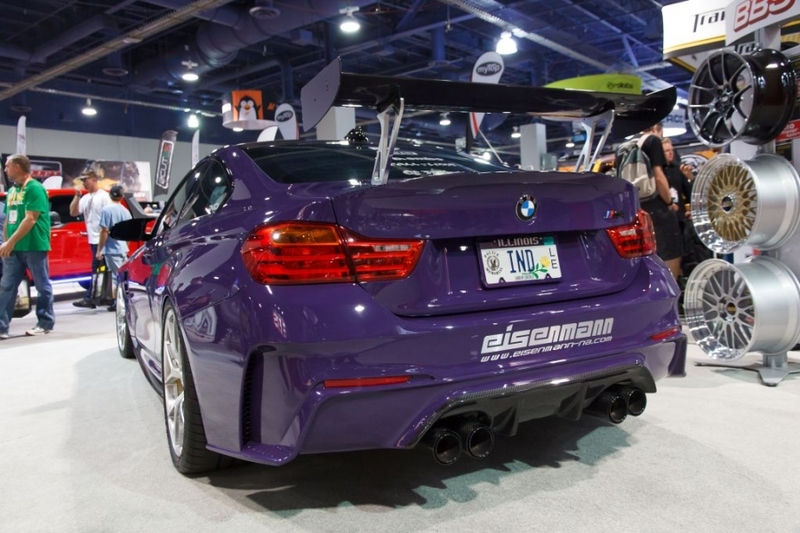 Only the diffuser, the spoiler blade made from balsa wood and the air intakes on the M4 are shown in real carbon. If you take a closer look at the front apron from “3D Design”, you will find out that for example the license plate notches and the headlamp spray nozzles disappeared. The mounted rims are the ultra-light BBS forged wheels FI-R in 19 inches on the front axle and 20 inches on the drive axle. The mounted Michelin Pilot Sport Cup 2 tires measure 265/30-19 and 295/30-20. In addition, the rims were hand polished. Although the BMW M4 is originally equipped with a Brembo brake system, IND distributes converted it and used the Brembo GT brake with 380 mm high-performance Type III discs. 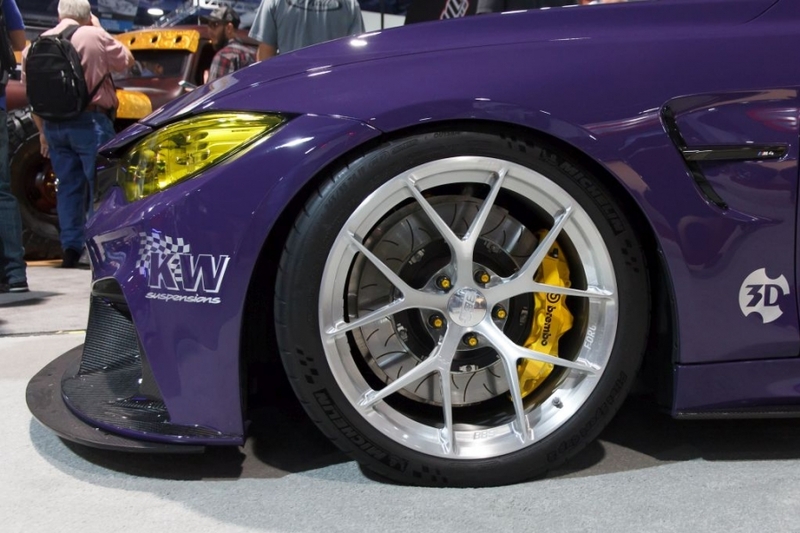 The car which IND Distribution named “BMW M4 GTS Plus”, is equipped with our KW Clubsport 3-way coilover kit. In addition to our recommended “track setup” and “road setup” you can also adjust individual damper settings. Via the rebound stage wheel at the upper end of the piston rod, the rebound can be adjusted with 16 exact clicks. 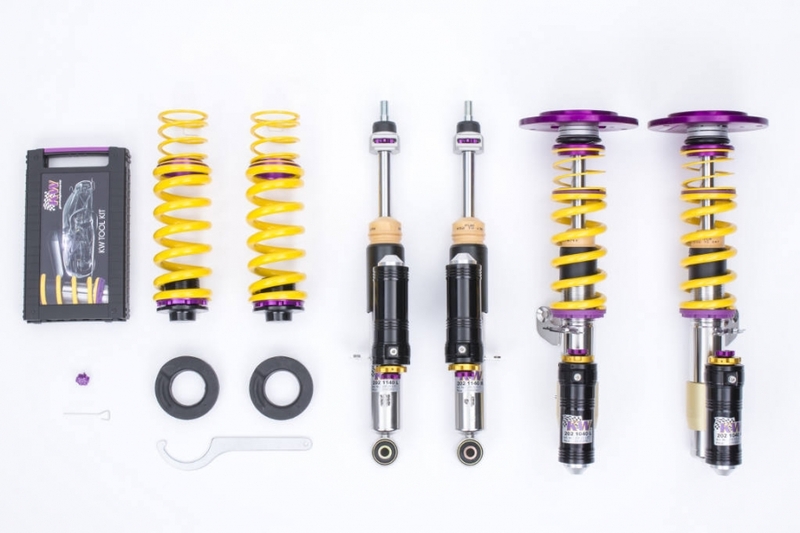 Regardless of the rebound level, the KW Clubsport 3-way coilovers allow to adjust the compression stage located directly on the expansion tank, individually in the high-speed range with 14 clicks and six clicks in the low-speed range. By the way, via this LINK you will also find a comprehensive conversion- and assembly story about the IND Distribution M4 GTS Plus. Finally, the BMW also has a lot of inner values such as the BMW M3 CSL sports seats, roll-over bars and much more.